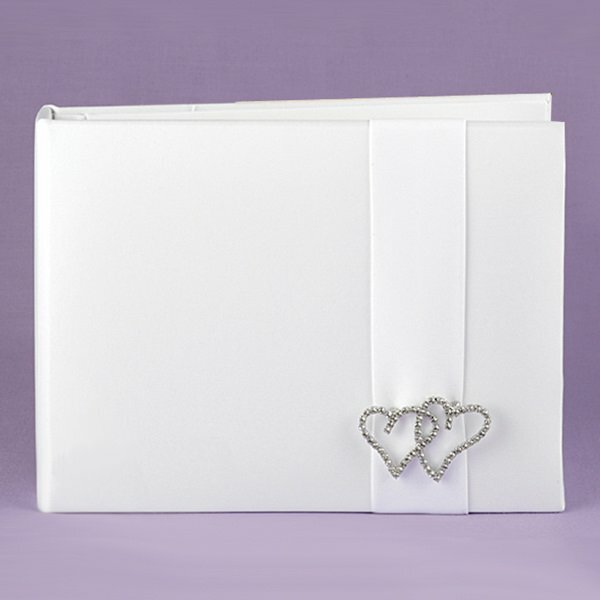 Our simple satin guest book features a satin ribbon accent and rhinestone double-heart brooch. 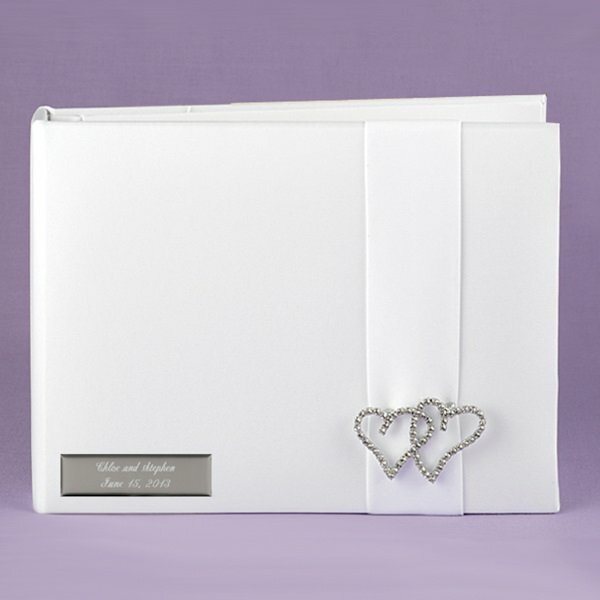 The white book features silver accents and measures 7 1/2" by 5 3/4" with 64 pages and room for over 800 guest signatures. 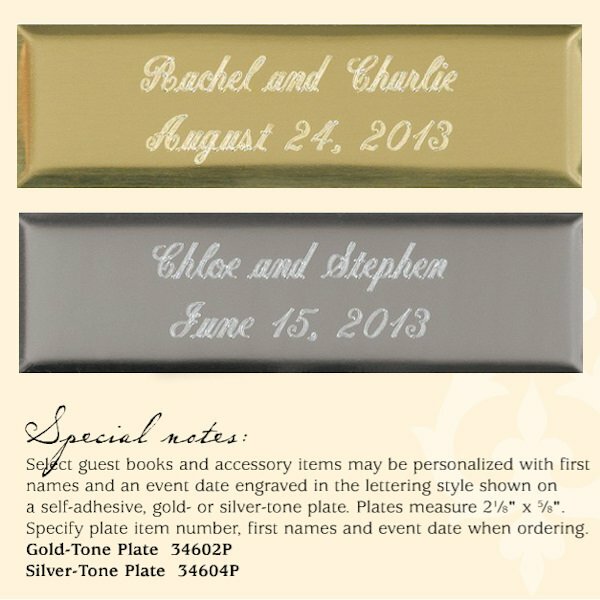 Add an extra special touch to this keepsake by purchasing the optional silver nameplate that can be personalized with your names and wedding date. Shop for matching accessories in the With All My Heart Collection.